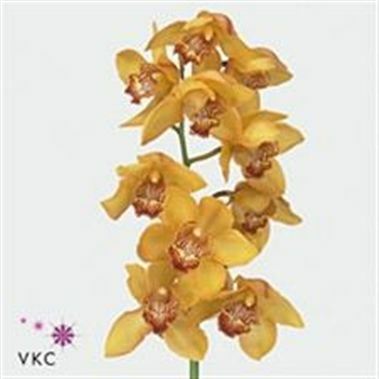 Cymbidium Yellow River Esther is a strong, seasonal Red/Yellow cut tropical orchid. It is approx. 80cm and wholesaled in Batches of 6 stems.